Just like the city itself, Rotterdam accommodation offers an exciting mix to suit every occasion and budget – with some great surprises thrown in. In addition to fabulous hotels, there’s plenty of self-catering and serviced apartments on offer too. This offers great flexibility for families and long-stay visitors. 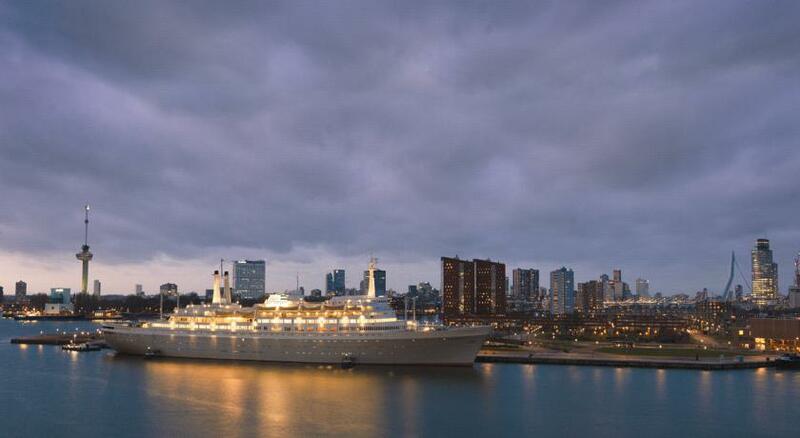 Why not stay on a ship, like the SS Rotterdam? Rotterdam accommodation is varied and plentiful. Rotterdam has a great mix of hotels, to suit every budget and need. Have you ever stayed in a boat hotel, or on a ship for instance? Well now’s your chance. World-weary solo travellers might love meeting new people at The Student Hotel Rotterdam. If you’re in town for a romantic get-away, or want to pamper yourself in style, then the fabulous Hotel New York or Mainport Design Hotel will be sure to delight. Melding with the Rotterdam vibe. The Student hotel is not only a hotel, but has long stay options and is a student residence. The communal areas are vibrant with the buzz of an international community – we love the invitation to “come meet new friends in your slippers”. An added bonus are social events such as city trips, parties and comedy nights. One of the best-rated locations in Rotterdam. Book you Rotterdam Accommodation on Visit Rotterdam today!